What is your pet’s name? What is your pet’s birthdate? Is your pet a mixed breed? What breed is your pet? Has your pet been spayed/neutered? Pet insurance won't cover costs for any condition that your pet showed signs of before the start date of the policy. (Medical records or a vet exam might be required to establish your pet's health). But, pet insurance will cover new conditions and accidents. Also, all the pet insurance plans here will cover conditions that your pet might have been born with but haven't showed up yet. These are called hereditary or congenital conditions. So it's still important to get covered! We understand that your pet has become a member of the family. Pet insurance can provide you with the peace of mind knowing that you are prepared to give them the best health care possible. Pet insurance in Arkansas provides affordable and flexible plans to fit your pet’s needs and your budget. 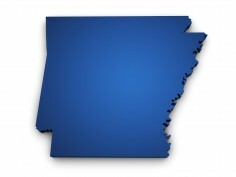 Our goal is to provide you with the area-specific health risks and concerns to dogs and cats in Arkansas. Understanding these health risks can help you make an informed decision about the right pet insurance plan for you and your pet. *This is a general guideline. You should always consult your veterinarian to determine which vaccinations are the best for your pet and the frequency of those vaccinations, especially if your pet has any health conditions. The geographical conditions and climate in Arkansas can affect your pet’s health. Arkansas’ humidity brings a high number of mosquitoes and ticks which transmit many different types of infectious diseases. Dogs in Arkansas are at a higher risk of contracting heartworm (a life-threatening, yet preventable infection transmitted by mosquitoes) compared to the national average. Dogs living in Arkansas are also more commonly diagnosed with whipworm, hookworms, and kennel cough. Cats living in Arkansas are at a higher risk of contracting Feline Leukemia (FeLV) and Feline Immunodeficiency Virus (FIV, very similar to HIV for humans). These viruses are spread through the close contact of an infected cat and can be very serious (especially among kittens) but are treatable if caught early and may be preventable through vaccinations. Fleas and ticks are also very common among Cats in Arkansas which can transmit harmful, infectious diseases. Cats are diagnosed with tapeworms (often caused by ingesting fleas) more than twice as common in Arkansas compared to the national average. These health conditions are preventable and/or treatable through routine veterinary care. Pet insurance can help protect you and your pet from the increasing cost of health care associated with these illnesses. Pet owners should also be aware of area-specific health concerns. Due to the unpredictable weather, tornado related injuries are common in Arkansas. Tornado relief centers and organizations are available to aid you and your pet in the event of a tornado emergency. Interested in pet insurance for your pet? Start by getting a free quote today. Ready to discover how affordable pet insurance for your dog or cat might be? Fill out our simple form and find out! in. Find out more here. How much does pet insurance cost? Can I get pet insurance for any breed? Find the answers to these questions and many more here.